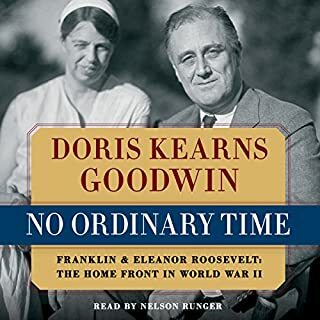 No Ordinary Time describes how the isolationist and divided United States of 1940 was unified under the extraordinary leadership of Franklin Roosevelt to become the preeminent economic and military power in the world. Are leaders born or made? Where does ambition come from? How does adversity affect the growth of leadership? Does the man make the times or do the times make the man? 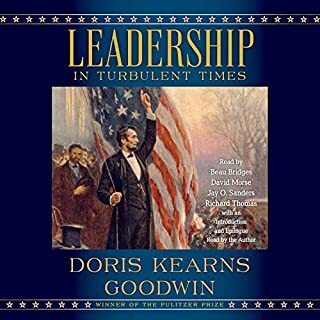 In Leadership, Goodwin draws upon four of the presidents she has studied most closely - Abraham Lincoln, Theodore Roosevelt, Franklin D. Roosevelt, and Lyndon B. Johnson (in civil rights) - to show how they first recognized leadership qualities within themselves, and were recognized by others as leaders. What makes a president great? Doris Kearns Goodwin's classic life of Lyndon Johnson, who presided over the Great Society, the Vietnam War, and other defining moments in the tumultuous 1960s, is a monument in political biography. From the moment the author, then a young woman from Harvard, first encountered President Johnson at a White House dance in the spring of 1967, she became fascinated by the man - his character, his enormous energy and drive, and his manner of wielding these gifts in an endless pursuit of power. As a young man, Frederick Douglass (1818-1895) escaped from slavery in Baltimore, Maryland. He was fortunate to have been taught to read by his slave owner mistress, and he would go on to become one of the major literary figures of his time. He wrote three versions of his autobiography over the course of his lifetime and published his own newspaper. His very existence gave the lie to slave owners: with dignity and great intelligence, he bore witness to the brutality of slavery. This capacity enabled President Lincoln to bring his disgruntled opponents together, create the most unusual cabinet in history, and marshal their talents to preserve the Union and win the war. "Team of Rivals" surprised me in so many ways. I was surprised by how much I didn't know about Abraham Lincoln. I was surprised by how beautifully told this story is. And I was surprised by how moved I was by a story that I, essentially, already knew. Strange to say, but by the time Abraham Lincoln is shot by John Wilkes Booth in Ford's Theater, I had almost willed myself into thinking Lincoln was a character who could figure out the trap, and avoid it somehow. I really didn't want him to die. Narrator Suzanne Toren breathes life into the story, and even into the nearly all-male cast of characters. I could listen to her talk all day, and she made some of the dull spots easier to get through. Readers/Listeners will be surprised at how well they'll come to know Lincoln's cabinet and family, and how heartbreaking it is to consider the untimely deaths of three of his four children, not to mention the tragic histories that haunted both Salmon P. Chase and Edwin M. Stanton. 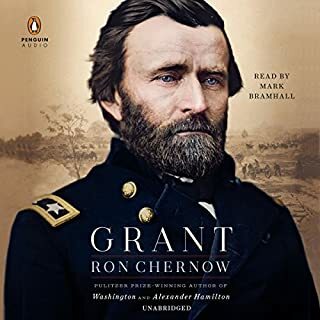 I listened to this shortly after listening to "1861: The Civil War Awakening" (Adam Goodheart) which makes a fascinating companion piece to "Rivals" for its more colorful descriptions of the times, and its different perspective on figures such as Gustavus Fox. "Rivals" is destined to go down as one of the definitive accounts of Lincoln's life, and any reader with even the most fleeting interesting in the 16th president would do well to delve into it. Though I was very familiar with Lincoln and the Civil War, I learned new things about Lincoln through finding out about Seward, Chase, and Stanton. Lincolns close relationship to Seward and their true loyalty to one another was touching. Chase comes across poorly, but Lincoln's patience with him is telling. Stanton is a bulwark. The story dragged a bit for me at times, but it was a very good listen. Everyone has reviewed this book. It is as excellent as everyone says! 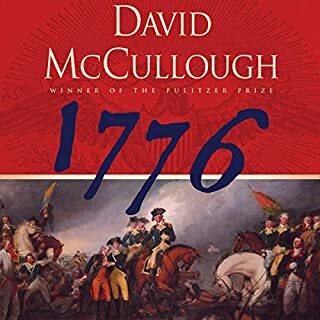 I'm only writing yet another review because I believe there is a real difference between this and other great Presidential and civil war tomes - the perspective of a few, very interesting woman. Don't get me wrong - the stars here are Lincoln and his "rivals", but a female historian just naturally carries her interest a little farther - into the lives and motives of the women who love and inspire them. Mary Lincoln becomes real here, but I also appreciate the fascinating details about lesser-known wives and daughters like Kate Chase and Frances Seward. Doris Kearns Goodwin's inclusion of these women adds yet another dimension to an already exemplary historical effort. It's an element which many fine male historians have overlooked. This is a great book, beautifully researched and written. I wish, however, that I had bought the hard copy. The narrator's style was cold and uninvolving, although at the beginning I was hoping to get used to it. After 40 hours, unfortunately, I did not; she lacked all passion for her subject. Doris Kearns Goodwin would have been a much better choice as reader. It didn't matter to me that Toren was a woman, and she has a beautiful speaking voice. This brilliant book deserved better. If you just read this book, knowing what most people know about Lincoln, you will likely learn a lot and enjoy the read. For me, the book was interesting, but it seemed to systematically leave out anything essentially negative about Lincoln himself. This bothered me a bit. Although Lincoln was, and should be, a hero, a good history should show him as human, with all the faults and weaknesses that make heroism so extraordinary. 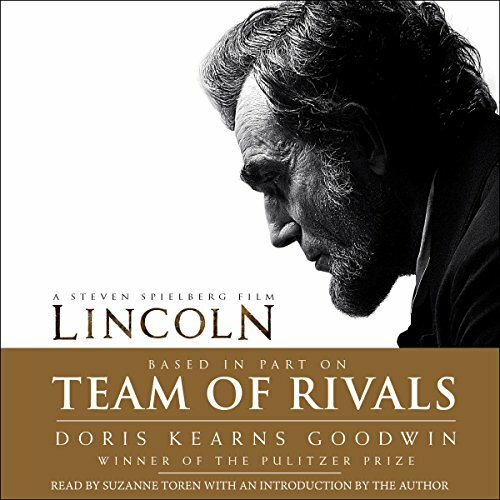 Team of Rivals was more fun to read than Carwardine’s or Donald’s Lincoln, but both of those books portrayed much more flawed, balanced, and believable Lincoln. The best part of Team of Rivals is the portraits of the men in Lincoln’s cabinet which are given short shrift in other histories. The downside is Team of Rivals has a strong point of view about Lincoln as a politician and a heroic man. Instead of presenting the evidence questioning the author’s point of view and refuting it, such incidents are just left out. The author even guesses at Lincoln’s pre-marital sexual experience based (it seems) on little more than guy talk and common sense (both notoriously unreliable). This is a very good read, but should not be the only Lincoln history one reads. Would you consider the audio edition of Team of Rivals to be better than the print version? I haven't read the print version, but the exemplary way in which the audio version was executed suggests an equal, if not better, experience. What was one of the most memorable moments of Team of Rivals? Lincoln being driven to tears by the adoration and gratitude bestowed upon him by African American soldiers. The scene above - also any references to the closeness of Lincoln with Seward and Stanton.Some great scenes, two, describing meetings between Frederick Douglas and Lincoln. This was an amazing piece of non-fiction: Scrupulously researched and presented in a way that made some fairly unwieldy material (especially in the beginning) understandable and compelling. Kearns-Goodwin justifies her place as a revered guest on The Daily Show, The Colbert Report and Sunday morning news programs.There were moments when I truly felt as though I was listening to Lincoln deal patiently with his often argumentitive cabinet. I listened the first half if this book. I have read several books on the civil war but really wanted more history of the events that lead up to the war, and of Lincoln's life and career. The book delivered on this. I was not in the mood to hear about the battles, so maybe later I'll return and finish. Lincoln's tactics of timing, and good humor were well illustrated. Suzanne Toren did an excellent job narrating. She wouldn't have been my first pick, and sometimes I thought her delivery a tad melodramatic, but concidering parts of the book were dry accounts of parties and shopping trips, she really did keep my attention. What did you love best about Team of Rivals? Ms. Goodwin started this marvelous novel, not at the beginning of the civil war, but much earlier in the personal and professional lives of each of the key characters. This allowed the reader to develop a much more complete understanding of the inter-relationships that were forged as Lincoln's cabinet was crafted from the great minds (and egos) of his day. 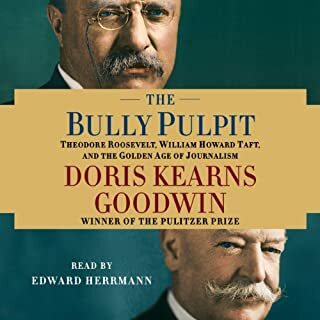 The thousands of personal correspondence that Ms. Goodwin had to read and research in order to build the elegantly flowing narrative of the lives of several great men and women contained in the novel is truly mind-boggling. She must be applauded for her diligence, passion and commitment, because the result of her work is a truly epic story. No single moment, but the common theme that almost everyone who initially met Lincoln underestimated him until they actually got to know him. Looks, in this case, were exceedingly misleading as each would come to learn (and sometimes regret). What about Suzanne Toren’s performance did you like? Ms. Toren's performance was phenomenal, not necessarily for its range of characters, but more for her ability to convey the far-reaching story and its complex characters with such subtlety that the reader can remain immersed in the tale, rather than becoming distracted by the narration. Of course, when Lincoln was assassinated at almost the same moment that his epic struggle to end the Civil War, while keeping the warring factions of his cabinet knitted together. I consider myself fortunate for having read this story. I learned and felt much as the lives of the characters unfolded before me. My wife recommended me read this book for close to a year before I gave in. 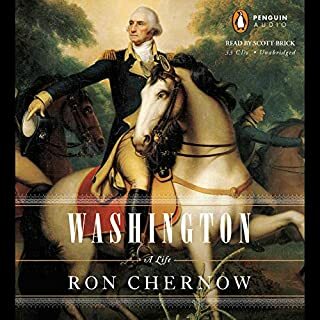 I figured that since my new drive to work was long I could read a presidential biography and make her happy at the same time. I'm VERY glad I listened to her. The book was amazing and though I always knew Lincoln was a great man, I did not know just how great until after this novel. Where does Team of Rivals rank among all the audiobooks you’ve listened to so far? Goodwin has done an incredible job of bringing together a ton of information about the personalities and actions of key "players" in the Lincoln administration (including Lincoln himself). It corrected many misconceptions I had about the history and personalities that I had had about that time. Her writing definitely gets you "up close and personal" with these important historical figures. I finished the book with a much greater appreciation for Lincoln and how important he was in keeping the U.S. together during this time. His unselfish approach to saving the Union was more than the country could have hoped for at this point in history. Plus, he would have been a great guy to have at almost any party. Even though the story focused considerably on the "team," I still enjoyed hearing about Lincoln's upbringing, his road to the White House, and his treatment of his cabinet, his generals, and others. What does Suzanne Toren bring to the story that you wouldn’t experience if you just read the book? She may not have provided much emotion in the reading, but she did a very good job of keeping the story going at a brisk pace. There were probably many, but it's hard not to be moved by the "end" that's coming for Lincoln. This is the way to learn history.